When you’re looking for car hauler trailers that offer exceptional performance and a sleek, stylish design, look no further than the professionals at Advantage Trailer. We understand that everyone has different needs and styles, and we’ll work with you to custom-craft a car hauler to your exact specifications. 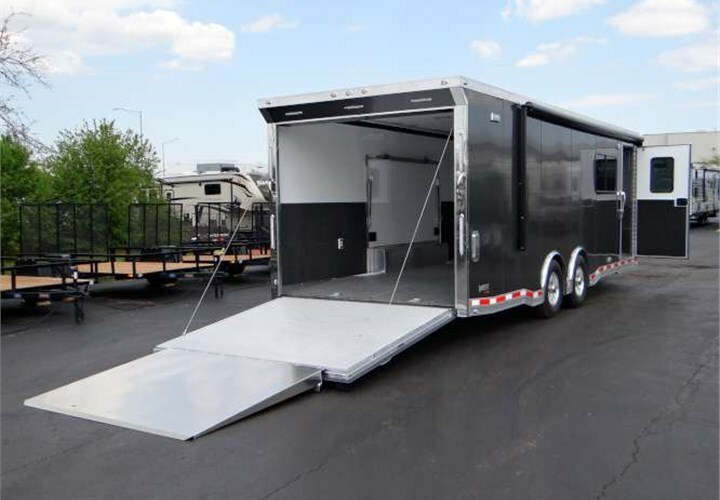 Whether you know exactly what you want your finished trailer to look like or you’re just beginning to look at your options, the professionals at Advantage Trailer are here to help. We recognize that moving a car in and out of car haulers is a complex process, so we focus on providing features that simplify the process for you, minimizing the risk of damage. No matter the type of requirements you have, our professionals will help you customize a rig that provides superior protection and ease of loading/unloading to keep your cars in pristine condition. The satisfaction of our customers is always our number one priority and we’ll go above and beyond to ensure your get exactly what you want. Our goal is to provide car hauler trailers that make loading and unloading a cinch so you don’t have to worry about scratches, dents, or other types of damage to your priceless car collection. If you’re interested in a custom car hauler to transport your vehicles, get in touch with us today. Give us a call to speak with one of our friendly, knowledgeable representatives and start designing your dream hauler right away.